Looking to buy a new house in 2019? We are excited to share some positive and relevant mortgage news. 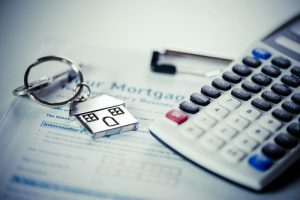 As expected with the sustained rise in home values, the Federal Housing Finance Agency, (a regulator for Fannie Mae and Freddie Mac), announced an increase in conforming loan limits for 2019. This means that home buyers will now have more borrowing power. The nationwide limit in most of the U.S. will be $484,350, a 6.9% increase from 2018, and the high-balance conforming loan limit will be $726,525. What does this mean for homebuyers? In high cost areas (such as the Bay Area), qualified buyers will now have an extra $31,250 available. These limits are important to homebuyers because they accommodate the rising home prices and allow buyers to borrow more to the limit of a conforming loan. A lift in the limits is a way for buyers to keep pace with a more-expensive market. Jumbo (non-conforming) vs. conforming loans. Conforming loans,” backed by Fannie Mae and Freddie Mac, typically come with lower interest rates than “non-conforming” and “jumbo” loans. They also have easier underwriting guidelines, higher LTVs (loan-to-value ratios), and no reserve requirements when compared to jumbo loans. Don’t wait until January. You can prequalify and lock in a mortgage rate now and then automatically increase the loan amount in 2019 when the new limits go into effect.